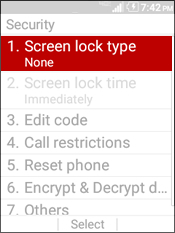 The Phone Lock feature helps prevent unauthorized use of the device by disabling outbound data and making calls. 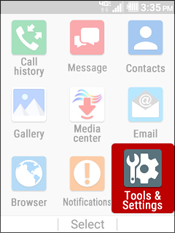 The device can still receive calls and place emergency 911 calls. 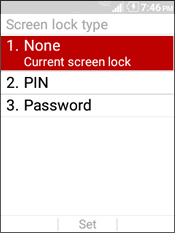 Enter a PIN then select OK. The PIN must be at least 4 digits long. 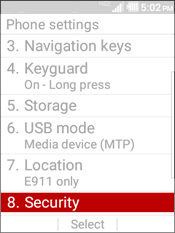 Re-enter the PIN to confirm then select OK. 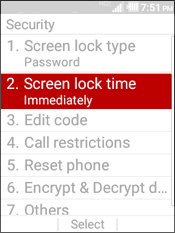 Enter a password then select OK. The password must be at least 4 characters long. Re-enter the password to confirm then select OK. 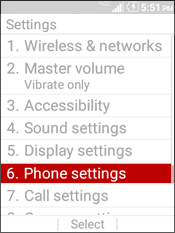 This option will be grayed out if the lock type hasn't been set. 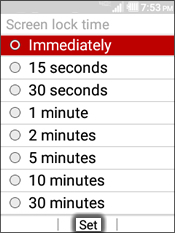 Select an time option (e.g., Immediately, 15 seconds, etc.) 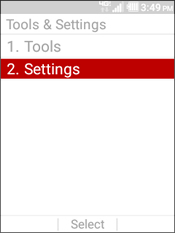 then select Set.